Medium: Watercolor on Arches 140 lb. watercolor paper, mounted on a cradled wood panel and sealed with an acid-free wax sealer. 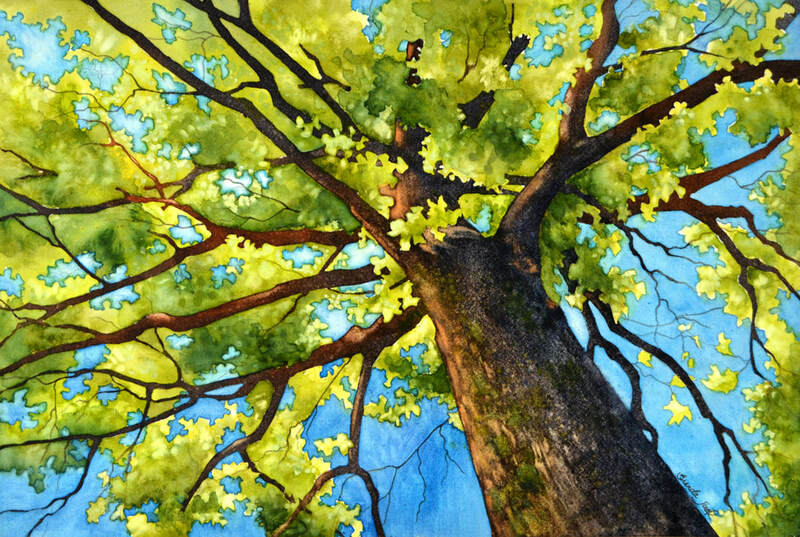 Painting Size: 18" x 12"
A worm’s-eye view of a single tree, with outstretched branches, reaching for the sun.